Give us a call at (403) 452-1781 for a free quote or Contact Us Online. storage facility in SE Calgary. 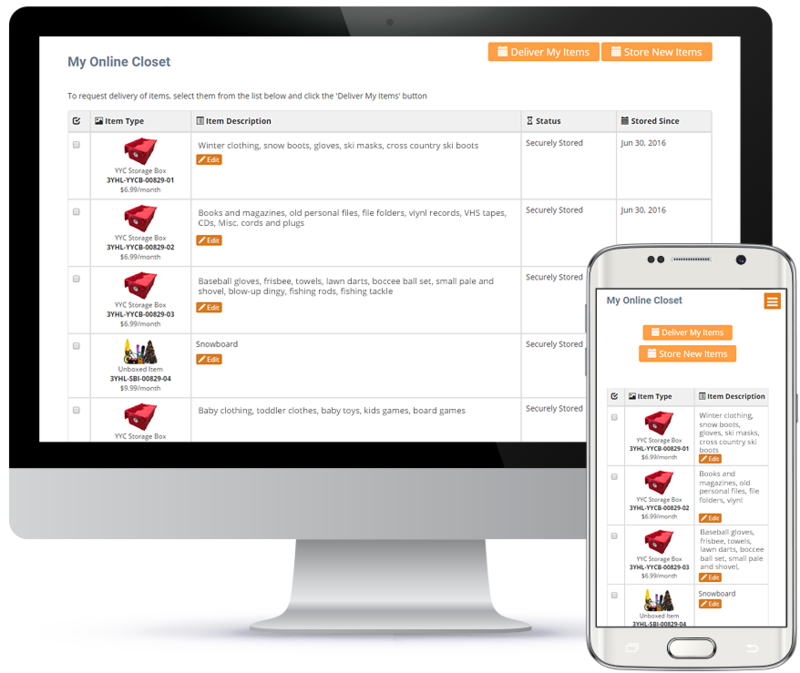 Manage your stored items online and request return delivery whenever you need your stuff. Think of us like regular Calgary storage except we’ll do all the lifting and driving. You can still store whatever you want and get it back whenever you want... all for the same monthly cost as traditional self storage. Ideal storage solution for just a few items or seasonal gear. Small walk-in closet size. Ideal for basic storage needs. Large walk-in closet size. Ideal for basic storage needs plus one or two larger items. Ideal for the contents of a studio apartment or small 1 bedroom. Ideal for the contents of a standard 1 bedroom or a small 2 bedroom with limited furniture. Ideal for a large 1 bedroom or standard 2 bedroom apartment and fits more furniture. Larger, custom-size spaces are available upon request! If you choose more space than you need, we'll automatically reduce your plan to a smaller storage unit based on your actual space requirements. Find out you need more space? We'll give you a call and take care of that too. Need a custom quote on more storage space or help choosing a storage unit? Our friendly storage experts are here to help at (403) 452-1781 or you can contact us here. "I recently used this storage service and i found it to be expedient, friendly and professional. 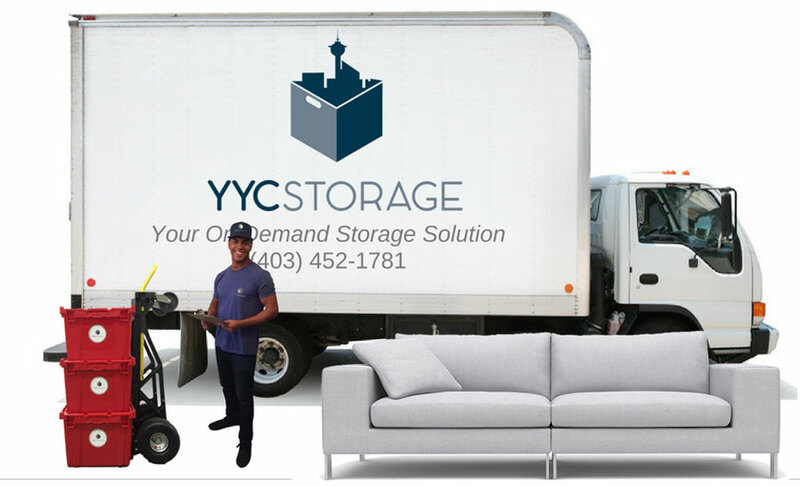 Would highly recommend YYC Storage for storage of items you want but don't use year round." 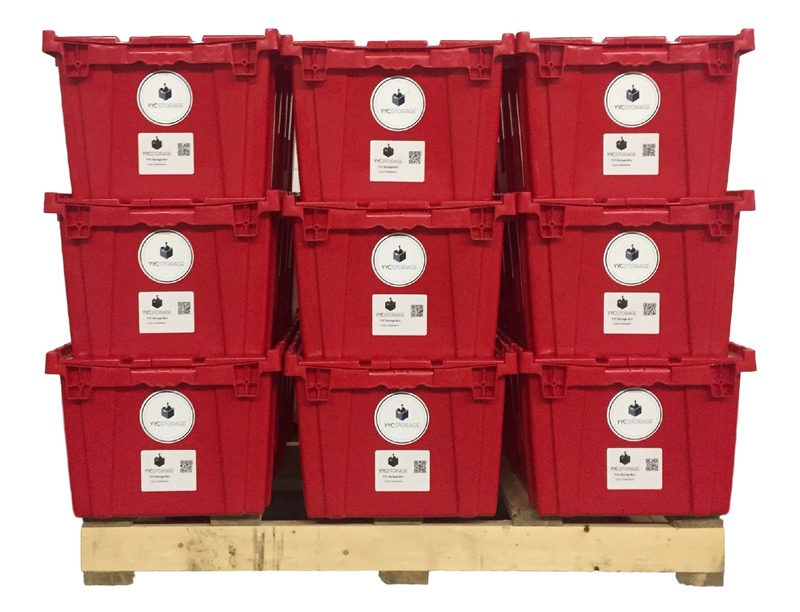 "They were on time dropping off their boxes and their online inventory system is brilliant... highly recommend, thanks guys!" "I used to have an off site storage unit and hated having to pick up/drop off and sort through... I found YYC Storage and I am really excited that they picked up my items." Check out more happy customer feedback on Facebook and Google!